ABS Moulded Four individual side rails. ABS Moulded Head and Foot panel with locking. Bed Mounted on 12.5cm Dia Castors, 2 with brakes. Bed consisting of Battery backup, Nursing Control Panel & CPR Function. S.S. Telescopic IV Rod with 4 Locations. obtained by electric actuator operated by hand remote system. Product Size : 210L x 90W x 60-80H cms. 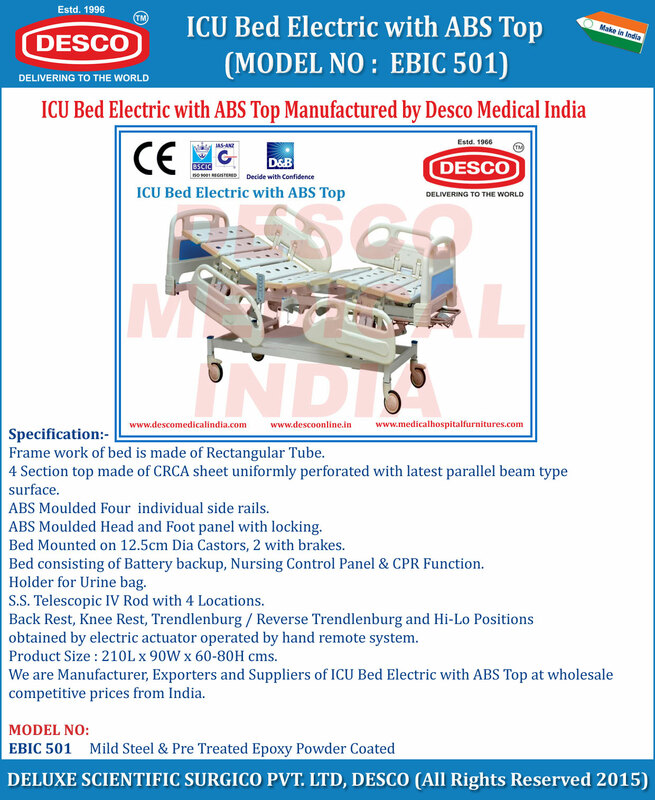 We are Manufacturer, Exporters and Suppliers of ICU Bed Electric with ABS Top at wholesale competitive prices from India.